We have private rooms and mixed to give a good service to our guests. We open 24 hours and we have offert a good tourist information of Milan. Internet wireless is free !! From Malpensa Airport or Bergamo Airport (Orio al Serio) can take bus to Central Station. We are in a good location between the centre and Central Station (Train Station). Our guests can have lunch a complete menu from Monday to Friday for only 8 euros in a typical Italian restaurant. 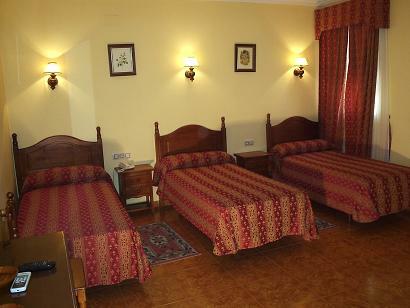 One night at week we offer at our guests free dinner to make a good ambient for all the hostel. The hostel is located in the centre of Milan in one of the most important shopping street in Milan, just 12 minutes walking from the Central Station and just 4 stops in metro (subway) to the Duomo. In our zone you will find many pubs and discos of young people and there are many pubs that offer happy hour daily from 6 p. m. to 9 p. m. with free buffet. To cancel a reservation have to make it 24 hours before the arrival time by the website of the agency. Viale Monza, 111. Second Scale, First Floor. Amici B&B is in a good location between the centre and Central Station (Train Station). From all the Airports take the shuttle bus to reach the Milan Central Station FS. From Central Station FS take the subway Green Line, get off in the stop of Loreto. Then take the subway Red Line and get off in the stop of Rovereto. You will find us in front of the metro stop. Viale Monza, 111.